Thinking to buy some Bitcoin & HODL it? But let me tell you if your Bitcoin private keys are not safe, you are sure to be doomed. But we still keep hearing about the Bitcoin private key hacks which shows that this critical thing of ‘Bitcoin Private Keys’ is still not well understood. That’s why I am attempting to explain the concept of Bitcoin private keys again today and hoping that its awareness will help Bitcoiners adopt a more proactive approach in safeguarding their private keys. A Bitcoin private key is a just a secret alphanumeric number. Anyone having this secret number is entitled to spend those bitcoins, and that’s why a Bitcoin private key needs to be safeguarded very carefully. Usually, this key resides in a Bitcoin wallet file and for those of you who aren’t familiar with a Bitcoin wallet, here is a simplistic explanation. A Bitcoin wallet is merely a combination of Bitcoin private key and public key. So if you have this combination on a piece of paper, it is called a paper wallet, or if they are present on a mobile device, it is called a mobile wallet. You are Bob, who wants to send a letter to Alice. You both are friends. Now to do this Bob needs to know Alice’s postal address or post box number. This post box number is public and is known to Alice and his friends & family, like Bob. Moreover, Alice can always tell this post box number to anyone from whomever she wants to receive letters. Let’s assume the letter has been posted in the post box but to actually receive the letter Alice needs to use her post box keys to unlock the box and take out her letters. This key is personal to Alice, and she safeguards it cautiously because she knows that anyone in possession of this key can take her letters. So, in this case, the post box number or address is actually the public key or public address in the Bitcoin realm and the letter box key is like the private key of Bitcoin. So, in short, a Bitcoin private key is just a 256-bit number which can be denoted in several formats and is used to spend/send bitcoins from one address to another address. There are many other types used for Bitcoin private keys and the same we are going to discuss in the next section because these formats are integral to understanding private keys of Bitcoin as a whole. A private key (in bitcoin, i.e. ECDSA SECP256K1) is a 32 byte number between 0x1 and 0xFFFF FFFF FFFF FFFF FFFF FFFF FFFF FFFE BAAE DCE6 AF48 A03B BFD2 5E8C D036 4140. What Is A Bitcoin Public Key? Bitcoin public key is another alphanumeric number associated with Bitcoin on which bitcoins are sent or received. Furthermore, these public keys can be transformed into Bitcoin public addresses, and each of the transformation from private key to public key to public address is irreversible. And this irreversibility by maths has been the foundation of Bitcoin-world’s first fully functional cryptocurrency. 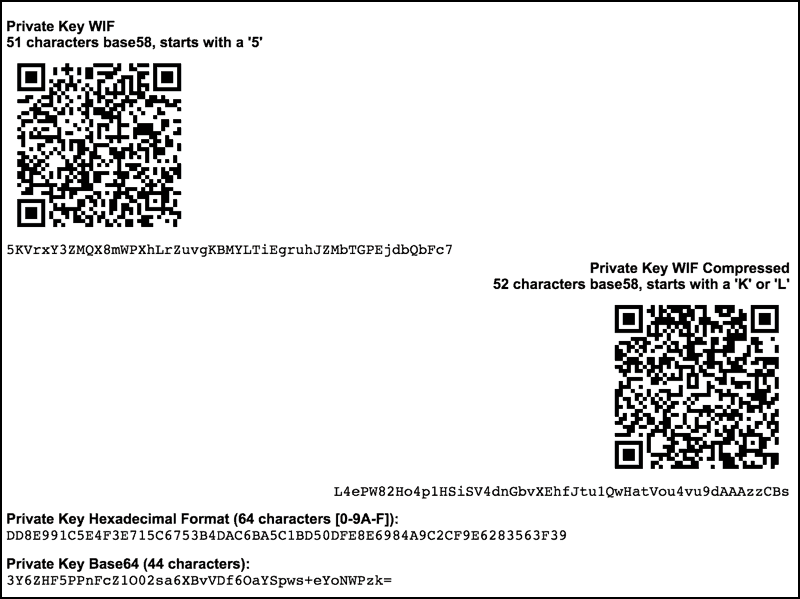 This is how a transformed public key looks like and it usually starts from digit ‘1’ and recently due to segwit addresses you will find public addresses or keys starting from digit ‘3’ also. Bitcoin is essentially a messaging system based on public key cryptography or better known as asymmetric cryptography that uses two systems of keys for super-efficient encryption and communication. Bitcoin uses public and private keys to encrypt and decrypt data (transactions value-bitcoins). In Bitcoin, it is ensured that the sender is the real owner of the account from which he/she is sending and this happens through signatures that are verified by this asymmetric algorithm or function. And this ‘signature’ is a number that proves that a signing operation took place by the right full owner of the key or bitcoins. A signature is mathematically generated from the hash of a transaction message plus the private key and is an irreversible mathematical operation. And further, anyone can feed the known public key and this signature in a special cryptographic function to determine that the signature was originally produced from the hash of the transaction message plus the private key, without needing to know the private key. This ensures that the sender/signer is the real owner of bitcoins. 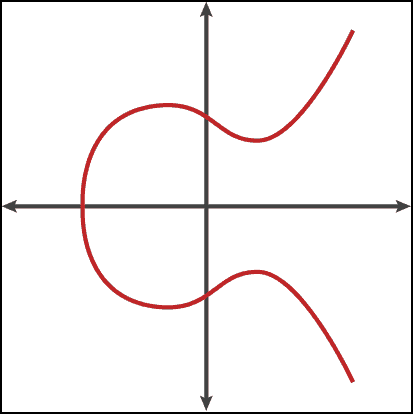 Elliptic Curve Digital Signature Algorithm or ECDSA is the asymmetric cryptographic algorithm used by Bitcoin to generate public and private keys. And this asymmetricity ensures that funds can be spent by the rightful owners only. By now it would have been clear that ‘Bitcoin Private Keys’ are the most important. But if we speak strictly, there are no bitcoins at all, these are simply numeric entries on the ledger. And holding the right private keys gives you the privilege to add or subtract these entries on a specific address of the Bitcoin ledger or transfer these numeric entries to another address within the Bitcoin’s blockchain. That’s why safeguarding your private keys is of paramount importance. This can be easily done by using a good Bitcoin wallet and by following necessary security practices. And that’s what we are going to discuss in this section. 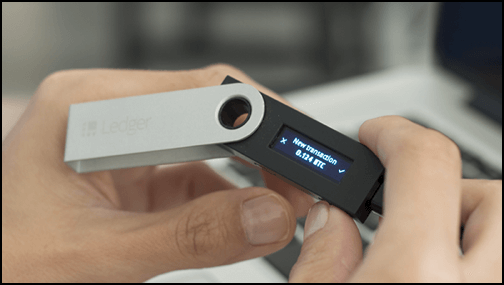 Hardware devices that stores your private and public keys are generally known as hardware wallets. And let me tell you some very good hardware wallets are available in the market. 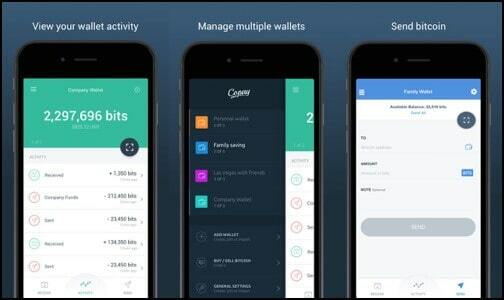 For example Trezor & Ledger Nano S.
Bitcoin wallets on a mobile-based client are called mobile wallets, and these wallets are some-what secure in handling your private keys of bitcoins. Don’t store a large sum of funds on Mobile wallets. Instead, use hardware wallets for storing large amounts of bitcoins. 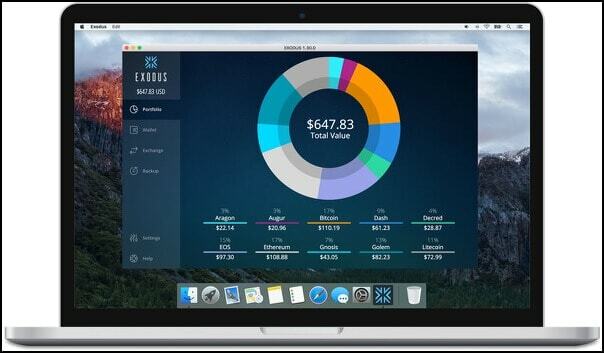 Wallet clients installable on Windows, Mac, or Linux are called desktop wallets, and they are generally considered less secure than mobile wallets. But if you use them with proper encryption and firewall settings, these wallets should be good to store a significant amount of bitcoins. Web wallets are those wallets that exist purely on the internet and are accessible only through a browser are called web wallets. 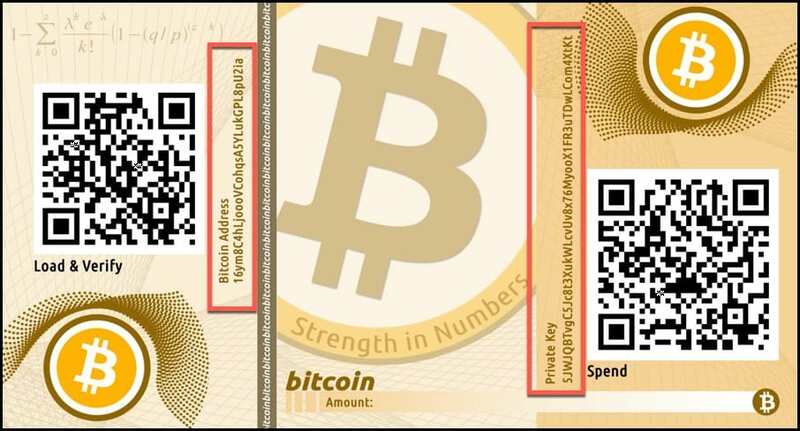 Paper wallets are simply a piece of paper with bitcoin private and public keys printed on it. If you know how to use paper wallets properly, you may go ahead storing your bitcoins here but if you don’t know, use hardware wallets for safe side. 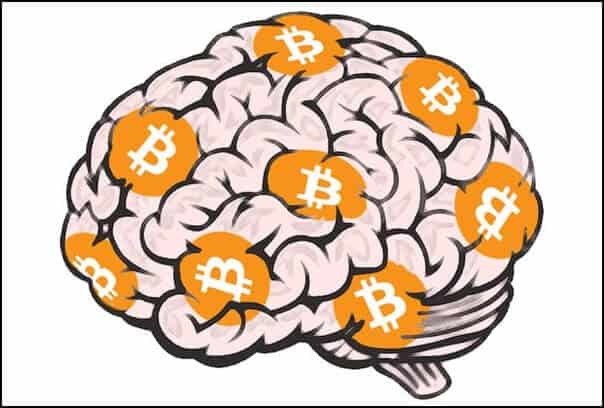 Brain wallets for storing bitcoins or bitcoin private keys is a bad idea because the human brain is highly predictable and usually thinks off simple numbers/patterns to generate private keys. And this nature can be highly predictable as well as lethal. This key is generated from digit ‘1’ as the brain wallet private key, and if you see it on the blockchain explorer, you will find that 1000s of transactions have happened on this address and a total of approx 7 BTC existed on this address. So if you choose this address to store your bitcoins, it is 100% sure that your coins will be taken because digit ‘1’ as the private key is too predictable and already known. Private key encryption is one smart way of safeguarding your keys if you are using a mobile or desktop wallet. But do remember that this encryption password needs to be hard to guess or brute force. Use right firewall settings and use malware & antivirus protection softwares. if you are using a paper wallet, keep your paper wallets in fireproof, waterproof and ink proof environment to safeguard your private keys on it. And if you do these things and use the recommended types of wallets, you will be OKAY. So that’s all I wanted to share in this article. So now if you have any questions or suggestions regarding it then do express those in the comments section below.